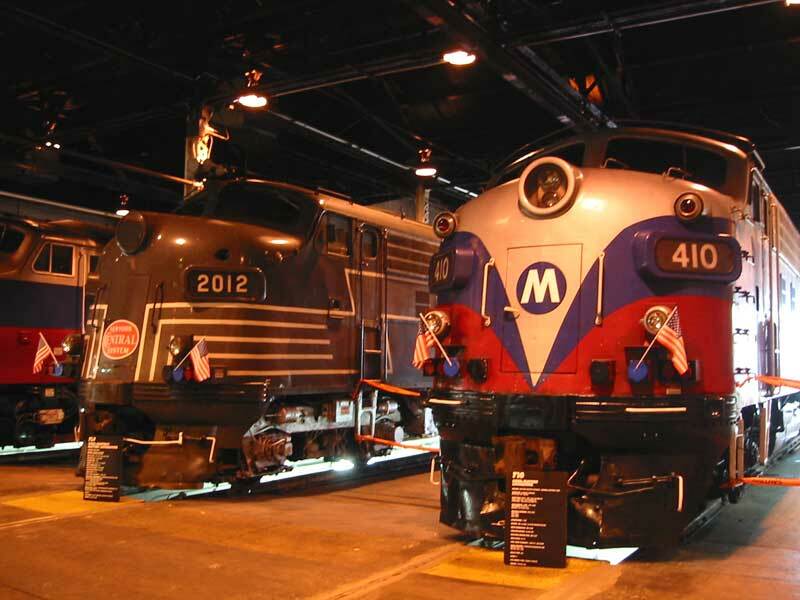 Each year, the Harmon Open House draws thousands of rail enthusiasts who get to photograph equipment, ride on foliage trains and see demonstrations from various railroad departments. Ron Yee brought his new Cannon digital camera and captured the pictures below on October 20, 2001. 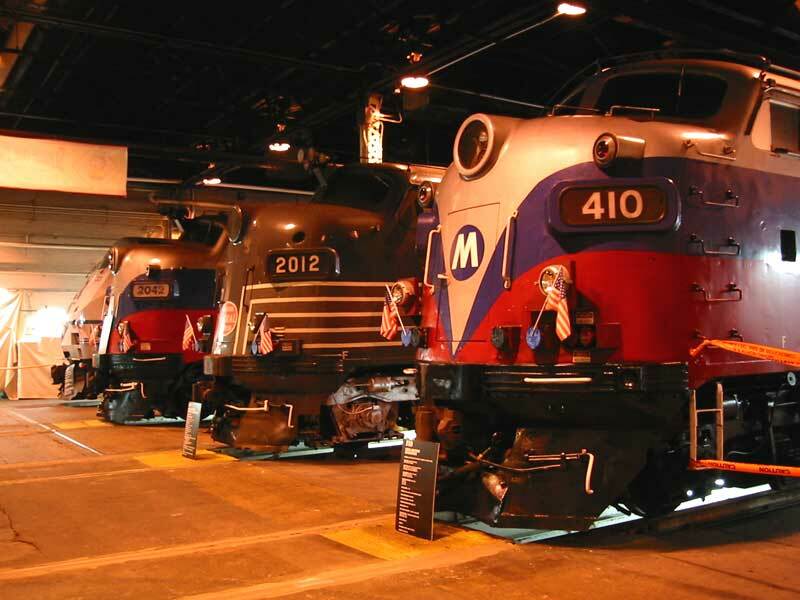 In order of age, a 1940s-era F10, an FL9, FL9-AC and a Genesis locomotive in the diesel shop. An f10 and NYC FL9. 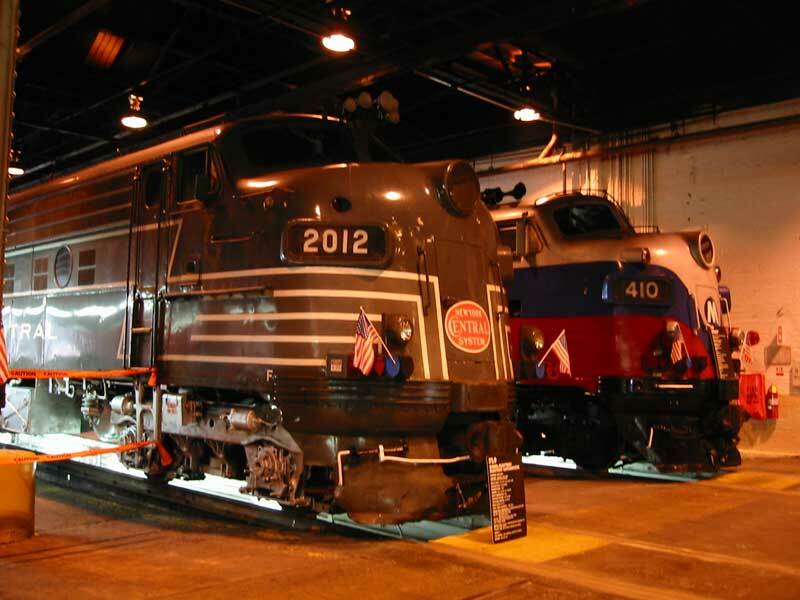 No, the Central didn't own any FL9s, this one was repainted for a celebration in Peekskill, NY a few years ago. They should have repainted the F10s. Another view of the NYC FL9 2012. A similar unit (2013) has been donated to the Danbury Railway museum. 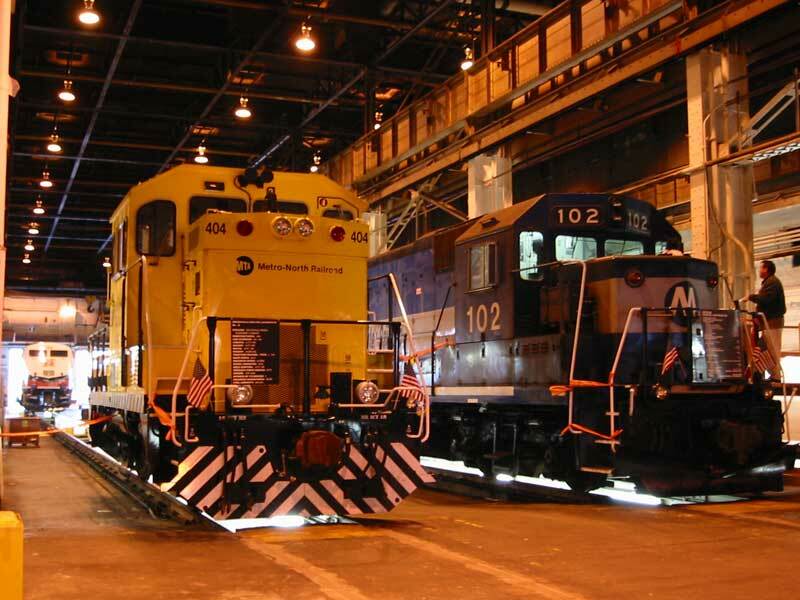 The freight fleet includes two tiny 600 hp Brookville switchers, designated BL06, and reliable EMD GP35Rs. The GP35s were rebuilt by Conrail in Altoona. 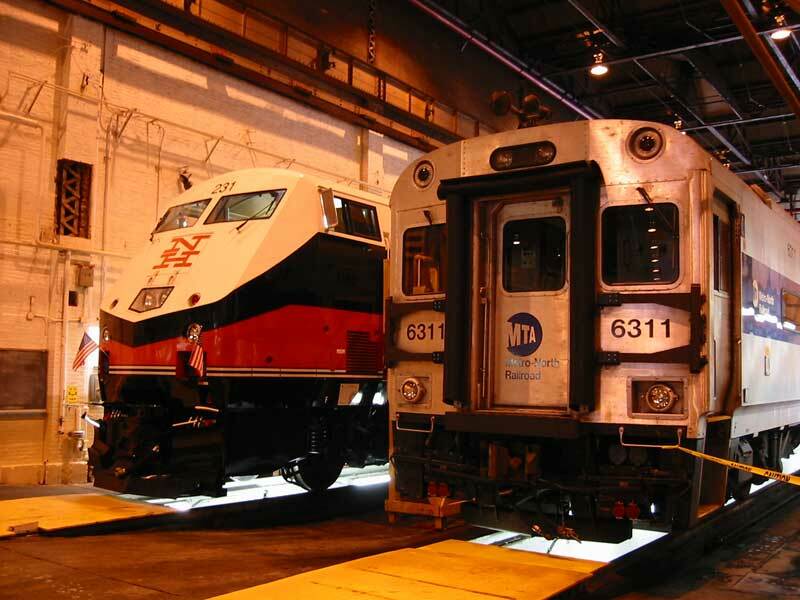 Genesis engine 231 is the newest in the Metro-North fleet. It is owned by ConnDOT and looks great in New Haven Colors.